I recently had the opportunity to hear Lydia Peever speak at Ottawa’s author reading event “A Midsummer Night’s Scream” hosted by Postscripts to Darkness, and the passion in her voice and her ability to bring critical attention to issues that are often ignored by society prompted me to ask her to do an interview here on Speculating Canada. 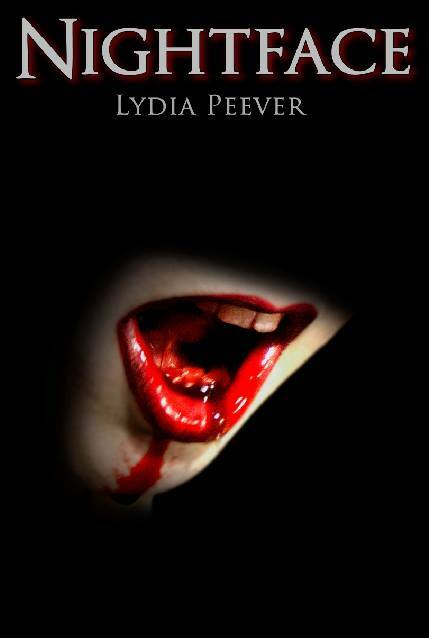 Lydia Peever is the author of the novel Nightface and the collection Pray Lied Eve. 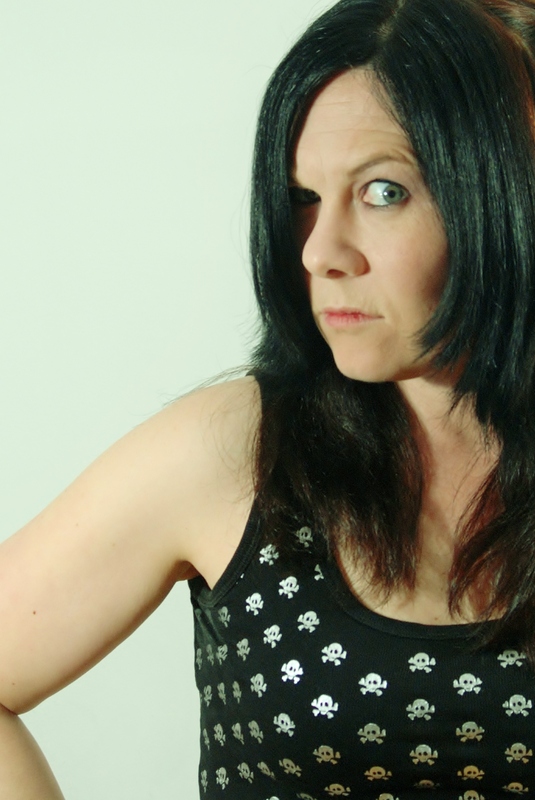 She is also a photographer and web designer with a particular interest in photographing road kill. You can find out more about Ms. Peever and her work at http://nightface.ca. Spec Can: Could you tell us a little bit about yourself to begin this interview? Lydia Peever: Sure. I grew up in Northern Ontario. At one point I would be best described as an artsy yet anti-social high-school dropout that messed up at college too. My focus has been split between writing and photography since I was at least ten years old, so art always seemed more important than school. Over the last five years, I became serious about my career as a writer, published, and moved to Ottawa to obtain my diploma in Journalism with honours from Algonquin College. I try to balance the amount of fiction and non-fiction I write since I enjoy both, but right now fiction is winning. Spec Can: Is there a sense of community among Ottawa authors? What is it like? Lydia Peever: Yes, but from where I sit it appears fractured. There are very active open groups for general fiction, genre-specific writing circles, and a few seemingly impenetrable covens. It really depends on what you look to get from this ‘community’ as a writer. We have The Writers Festival, which is very rich in content though very narrow in scope. The independent bookstores are amazingly supportive of local authors, though as anyone knows they have their own trouble and seem to be an endangered species. Horror and dark fantasy authors, being the least social creatures in this genus, are harder to find. We seem to be slowly coagulating due to the efforts of Ottawa Horror profiling authors, Postscripts to Darkness publishing many of us and holding events, and the Chiaroscuro Reading Series which launched in Ottawa this year. Spec Can: Is there a distinctive “Ottawa style” of writing? What do many Ottawa-based authors have in common and what connects them? Lydia Peever: I would have to say no. Each author brings their own style of writing for certain. Regardless of genre, demographic or particular biography, Ottawa authors could be from anywhere in the world. Like any author anywhere in the world, we sometimes write what we know so stories can be set within the city or fashioned out of a similar looking lump of clay. That isn’t really peculiar to Ottawa authors though. When I talk to authors on behalf of Ottawa Horror, I ask similar questions and get very different answers. Spec Can: Is there a distinctive Canadian style of horror? What is different or unique about it? Lydia Peever: Somewhat. I have tried over the last two decades to read as much Canadian horror as I can. For a time I was seeking Canadian female horror authors. There are not many to choose from! I stand to be corrected, but I find we are far less brutal than our fellow North American or British counterparts. I can’t name a Canadian splatter-punk hero nor can I name a Canadian horror author that is a household name here and abroad. We have carved a niche in cinema – a quiet subtle brooding horror – but not yet in print. Spec Can: Several of your short stories deal with the topic of drug addiction. What inspired you to write about drug addiction? Lydia Peever: Drugs are mentioned here and there in my stories as a colour to paint a character with. Usually a dark colour as drug abuse is basically a dark thing. In Crocodile Rot, where the sun shines bright on intravenous drug use, I talk about it like it’s happening on our front porch, because it probably is regardless of where you live. Many authors tend to draw as much on life experience as they do on what they see or imagine others experiencing around them. I have seen a lot of drug abuse around me in high school and beyond, sometimes with scarring or deadly affects. My long-term ex was a hard drug user and eventually succumbed to an overdose. Several people I know have entered a methadone management program, and a few have successfully stopped taking drugs. A lot of people I know will never stop. I can’t turn a blind eye to the dark alleys around me since I’ve walked down them. People I knew since childhood have walked down them. I’ve lost people down dark alleys. Stigma and fear surrounding drug abuse and its affects are far more damaging than communication, education and true understanding. I write just as often about mental health issues, which I know just as well and can at times be related. Spec Can: What can horror and Weird fiction authors be doing to bring social issues and critiques to the attention of their audiences? Lydia Peever: Write. It is all we can do, right? If it moves you, it will move your readers. I learned that emulating authors like V. C. Andrews and Stephen King when I was young. Both tend to write very strongly when they had a message about women’s issues (no matter if it were presented inside-out) which is not my forte, but it is how I learned that concept. It is deeper than ‘write what you know’. Much deeper. If you write about the things happening around you that really shake you to your foundations – the stuff that gives you real nightmares that aren’t fuelled by the last movie you watched – people will tune into that. If you have a history with a social issue be it addiction, debt, domestic crisis, sexual conflict, mental health; write about it. Never be afraid to write about what shakes you up, breaks your heart, or makes you scream. If you are afraid to come clean with your own experience, at least fictionalize it or choose a good pen name. Don’t keep that precious dark ink bottled up. Spec Can: How can horror “teach”? How does it cause audiences to shift their perspective and question things? Lydia Peever: Any form of instruction starts with a nice theory primer conducted at arm’s length. Horror is kind of like that. You may not have experience with the specific terror or the ‘other’ found in the story, but it explains itself neatly and from a safe distance. You can inspect so many otherwise inaccessible worlds this way. Death, science, religion; and many other things you may otherwise avoid or be loath to discuss with those around you. As with other fiction, there are entire worlds in each book that are based on our own, to one extent or another. The avenues for real world extra-curricular research are unending if you are truly engaged and inspired by what you are reading. Many of my hobbies and much of my non-fiction reading has been initiated by horror I have read. Spec Can: In what way can horror be an empowering genre for women? How can horror novels/short stories/movies be feminist texts? Lydia Peever: Think critically when watching. Apply gender issue thinking to what you read and see. This applies to all media, really. The experts on horror and the feminine are now luckily found within universities. Through Ottawa Horror, I was able to attend portions of the Monstrous Feminine course taught by Aalya Ahmad at Carleton University on feminist literature and film. My close friend and colleague Amy Jane Vosper has recently completed her thesis on horror and the feminine. I’m no feminist, myself, so am perhaps the worst authority. As a teen I did struggle with the idea for a while. In the 90s, it seemed there were very few strong women portrayed in horror. It was slim picking, so I identified with Linda Hamilton as Sarah Connor even though she had weaknesses I still can’t identify with. Currently, you can’t turn your head without Eskimo kissing a Sarah Connor type in one form or another. Strong women are everywhere, but not without their weaknesses or flaws. I am always on the lookout for realistic females. Being a very independent and childless single girl, I tend to discard the plot device of women as a ‘vehicle for a child-bearing uterus’ which sadly, nearly every story boils down to. On the other hand, you have ‘jaded harpy’ which is another trope that needs to be discarded. It depends on what kind of women you are. In the last decade, you have a better chance of finding strong women in horror dealing with unimaginable strife but you may have to juxtapose a few of them if you are looking for an ideal archetype. Spec Can: Do you find that your photography work complements your writing? In what ways can your photography inspire your written work and in what ways does your written work bring your attention and interest to various images? Lydia Peever: I do. Even if not directly or for the public to parallel. From snapshots of flowers or carefully composed landscapes, I photograph a lot of things that tell a story to me and myself alone. I like to capture desolation or loneliness in many of the photos I take that no one will ever see. Even when doing portraits, I end up taking a few candid shots with pensive, lost or thoughtful looks. Then, you have my fetish, gore and band photos. Those likely complement my writing in the most obvious way. Images of one tied to a St. Andrews Cross or doused with blood on stage come easy to me since I’m not offended by the nature of the concept. Same with images of graveyards and road kill, though those are a neatly captive subject less likely to move into bad lighting or blink. Spec Can: Your work is often very close to reality, with small deviations into the Weird or horrific. What inspires you to slightly “Weird” reality, while still sticking close to the believable world? Lydia Peever: The world is really very weird, if you pay attention. It is all in how you describe it. A psychotic carnival trailer murder scene at midnight can be a very unrealistic and scary place if you zoom in on a scene like that in fiction. Then, if you zoom out and tell the story from the beginning it is all very cozy. The city it is in, the people that are there, the words you hear and events of the evening could be anywhere and lead up to anything. A trip to the dentist can be as fraught with weird as the trip to that carnival trailer after dark. I like living in a world like that, so I pay attention to the weird. Also, having the dark and odd interests I’ve always had, or having come face to face with strife the average person does not usually have to see without the ability to live in La-La Land, I marry the two on a day-to-day basis. It’s how I think, so I guess it is also how I write. Spec Can: In what ways can horror be a social activist medium? Lydia Peever: In the same way that you can bring issues that are important to you or the inverse of being able to learn from horror. Infuse what moves you into a story. Let a story sprout from blood spilled in real life. Let those you know or who have passed transmogrify into beast or angels. Write it all down. Sometimes the message is very clear and your story does the heavy lifting for you. Sometimes it’s all very cryptic and subtle. In that case you can dust off your soapbox and append an intro to your story or present it within a themed anthology. There are more and more of these in submission calls every year. You can tour your book to various media outlets and talk about the underlying issue as opposed to talking about your plot. Talking about what drove you to write it and what you learned through that journey or afterward. Talking to readers is another way. They tell you something about your work that you didn’t even see. Spec Can: Is there anything further that you would like to add to this interview? Lydia Peever: Yes, a huge ‘thank you’ for enjoying the reading at Black Squirrel Books and for taking the time to chat! Support for artists and authors is just as important to me as getting all my thoughts on paper. Buying books, music and art is one thing, but talking to and about the people that are doing amazing work is just as important. Not everyone can support art with their wallet, and not everyone can make it to every event. Interviews, profiles, reviews, blogs, discourse; it’s all part of supporting us who wring ink into the literary ocean. Thank you. I want to thank Lydia Peever for this absolutely incredible and insightful interview. As someone who has taught courses about horror, I really appreciate her insights into the importance of horror for shining light on aspects of our society that we tend to stigmatise, repress, and ignore. This was a VERY inspiring interview. To find out more about Ms. Peever, visit her website at http://nightface.ca/portfolio/ . This entry was posted in Interviews and tagged addiction, art, Canadian Themes, dark, drug abuse, gender, horror, interviews, literature for social change, Lydia Peever, Ottawa, photography, questioning social conventions, social activism, Social Issues, stigma, weird, Weird Fiction. Thank you again, Derek, for taking the time to cover my work. 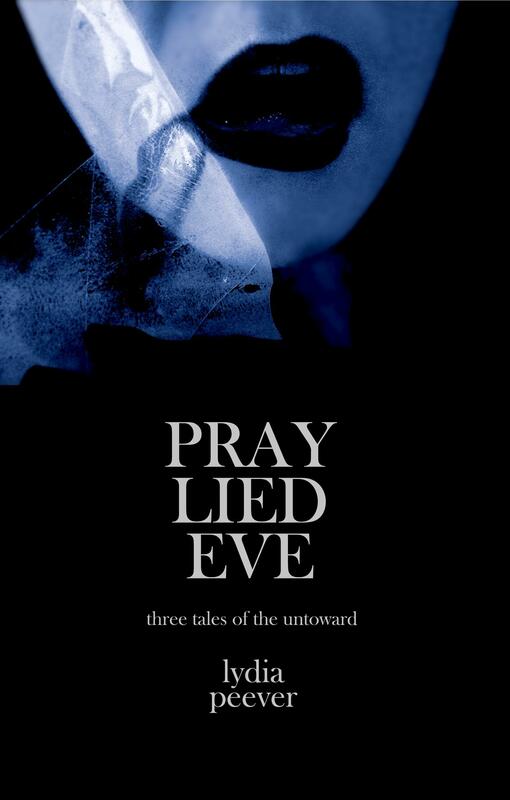 In celebration of your birthday and the Festival of Fear at FanExpo in Toronto, I have Pray Lied Eve as a free Kindle download at Amazon. Hope your readers enjoy the collection, and my readers enjoy this wonderful interview! That is incredible Lydia!! Thank you!